Our brief for this project was to modify the existing DA design and increase the car parking yield as well as reconfigure the designs to suit market needs. As part of the project our planners obtained approval for each town house to be subdivided into its own freehold title as a single unit dwelling.Our brief for this project was to modify the existing DA design and increase the car parking yield as well as reconfigure the designs to suit market needs. As part of the project our planners obtained approval for each town house to be subdivided into its own freehold title as a single unit dwelling. 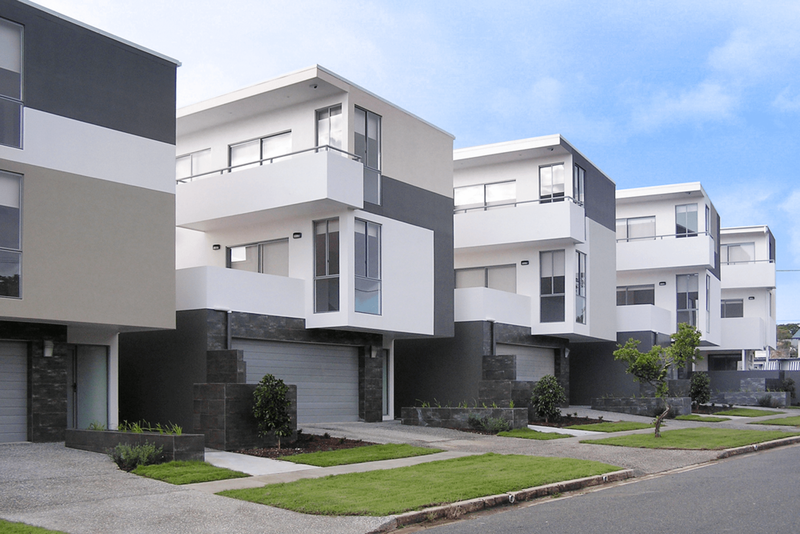 These two storey, three bedroom, character styled townhouses were designed using modern materials in a traditional building form and roof style to remain in keeping with the surrounding area; the townhouses are attached and mirrored in layout but have differentiating roof features.